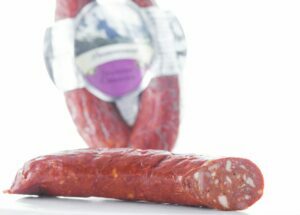 Details: Our chorizo is made from a traditional Spanish recipe using a specially selected blend of coarsely chopped pork along with carefully blended spicy paprika and red peppers. 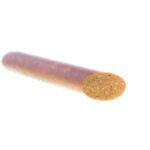 This rich combination gives a mouthfilling, long, dry texture to the sausage making it suitable for use in full flavoured tomato based stews and, potato or green vegetable based soups. Simply slice thickly into the stockpot and simmer to taste. Lightly fry generous slices with apple or pear juice and serve immediately, as tapas. 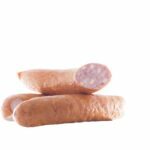 Ingredients: Pork Meat (96%), Salt, Spices, Sugar, Maltodextrin, Dextrose, Antioxidant (316), Sodium Nitrite (250), Edible Animal Casing, Smoke.